We are in the business of providing quality, affordable & comfortable campervans & motorhomes to individuals & families. 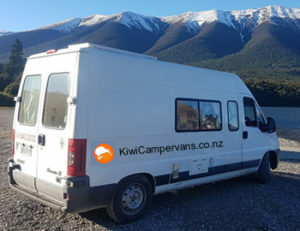 Kiwi campervans are well equiped, fully certified self contained vehicles ready to be your home away from home. Experience spectacular sights scenery, exhilarating activities of a lifetime that the pure tranquility of Aotearoa has to Offer. No need to book forward accommodation or plan your trip beyond booking your campervan. 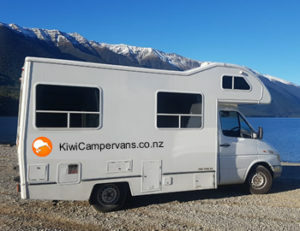 We Specialise in 11 Day Packages and 21 Day packages During Summer Months & We Are Based in Auckland and Drop off Campervans and Motorhomes in Christchurch. This is a very economical and easy to drive 2 berth campervan with shower & toilet. 80 W Solar panels give you more freedom for wild camping. Sleeps 2 adults. This comfortable and pleasant to drive motorhome features two double beds, toilet and shower, gas stove and fridge. It is fully self contained and has lots of storage. It also has an 80 W solar panel to boost the house battery.